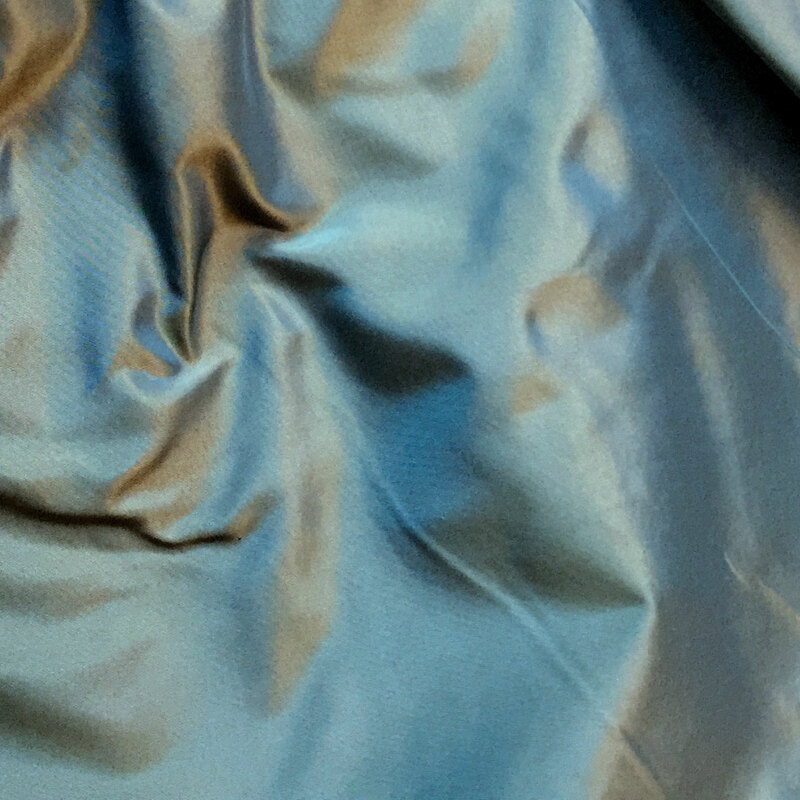 This great 100% silk taffeta has french blue threads crossed with gold which creates a lovely Lagoon Blue color. It changes color every time you look at it. Simply gorgeous! Ask for a swatch.